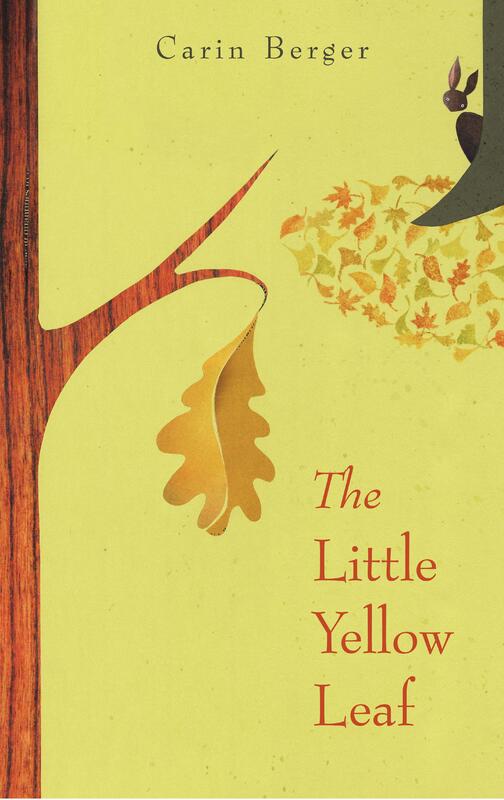 I want to wallpaper my apartment with the illustrations from Carin Berger’s The Little Yellow Leaf! OK, maybe I’ll just frame a few images. All joking aside, this is one of the most beautiful children’s books I’ve ever seen. From the sparse, poetic text to the elegant illustrations, this is a book adults and kids alike will want to read over and over. Plus, this book is a good find for vegetarian and vegan kids, because it celebrates nature, the changing of the seasons, and living fearlessly. The little yellow leaf is scared to fall off the tree, even after he thinks all of the other leaves have fallen — but when he discovers a friend, they leap into the wind together and dance into the distance. So what are you doing still reading this review? By all means, run out to your library for this book, then snuggle up with your little one for a good winter’s read. Thanks for this great review! I just read the book and loved the illustrations and seasonal message, but was having trouble trying to put my finger on how to talk about the “friendship” message with kids. Anyway, I am now in love with your blog. I curate a sustainability for early learners blog out of Brooklyn Children’s Museum and I constantly searching for resources to recommend to teachers and parents interested in sustainable education. I will certainly be sharing a link to your blog in an upcoming post (and combing your back posts for great book ideas). Thanks for your kind words, Lynn! I’m excited to discover your blog. In fact, we were living in Brooklyn when I first discovered this book. We reluctantly returned it to the Sunset Park Library, but we now own a copy.